Iresa, the troubled energy supplier, ceased trading last week. 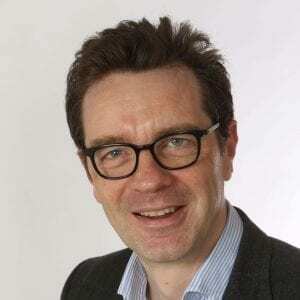 What can the industry learn from the Iresa saga – and how can small but rapidly-growing providers avoid a similar fate? Data supplied to Utility Week by the Energy Ombudsman contains some answers. The collapse of Iresa, dubbed the UK’s cheapest and most complained-about energy supplier, left 100,000 consumers in a difficult position and provided a stark reminder of the harsh realities of today’s energy industry. Thankfully, Iresa’s customers have found a new home with Octopus Energy, with whom we’re working closely to ensure a positive outcome for the hundreds of consumers who have unresolved complaints about Iresa. Nevertheless, Iresa’s demise contains valuable lessons for the sector – particularly the smaller, challenger brands that are experiencing rapid growth, or hope to in the future. Here at the Energy Ombudsman we have been looking back at the Iresa story. We believe it offers some important warnings that all ambitious energy firms should heed. Probably the most important commercial takeaway from the Iresa story is that, if rapid growth is your objective, make sure you have the infrastructure, resources, systems and people to cope with that growth. With price comparison websites signposting consumers to cheap energy deals, the potential for rapid gains in customer numbers has never been greater if you’re a young, agile provider that – thanks to low overheads – is able to offer low-cost deals. It’s critical that any challenger brand is strategic in its approach to customer acquisition, takes a long-term view and has the capacity to service new customers. Iresa provides a case study of how not to do it. The company’s customer base size grew exponentially in a short period of time. This extraordinary growth was unfortunately accompanied by a corresponding increase in the number of complaints that came to us. This year alone we accepted for investigation a total of 2,282 complaints about Iresa. In each of these cases Iresa had either failed to resolve the consumer’s complaint within eight weeks, or issued them with a deadlock letter (meaning a resolution could not be reached). 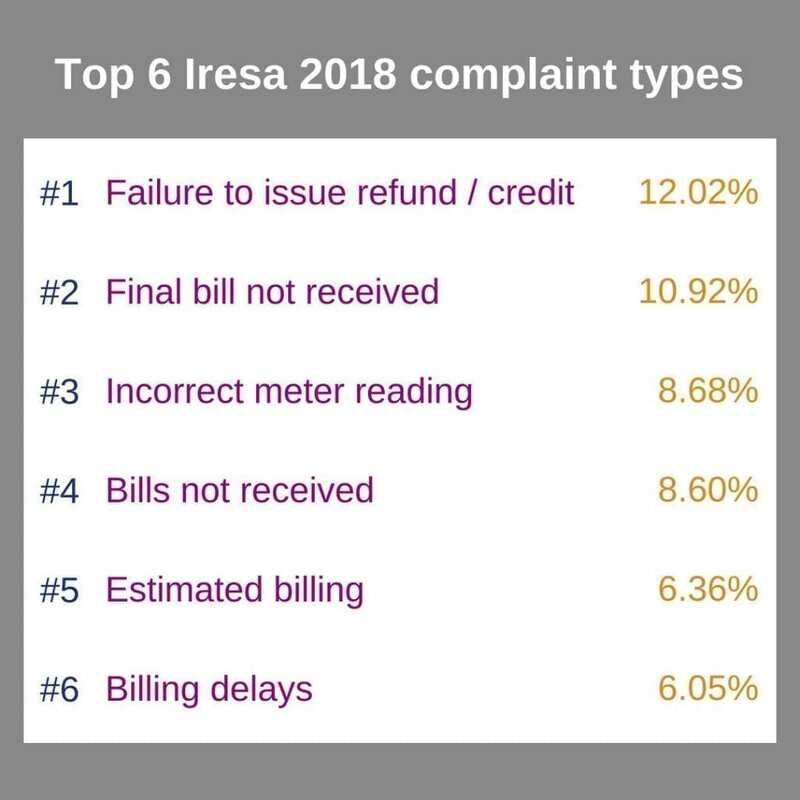 The below table shows the top five complaint types relating to Iresa, based on the cases we handled in 2018. Crunching the numbers, more than 20 per cent of unresolved Iresa complaints handled this year by Ombudsman Services (OS) in its role as the Energy Ombudsman were about failure to issue refunds/credits or final bills not being received. This suggests that disgruntled consumers were already starting to leave Iresa, having had their hands burnt by poor customer service, billing problems or other issues. By having in place from the outset both an adequately trained and resourced customer relations team and a fit-for-purpose billing system, it seems Iresa would have had more success in maintaining good service levels and ultimately retaining customers. An examination of the cases handled by OS shows many were resolved by the company simply fixing the issue, with no goodwill payment awards needing to be made to the consumer. This suggests that a lot of the complaints Iresa was facing were relatively straightforward and could have been dealt with quickly and easily, if only the company had the capacity to do so. Having in place a larger, more efficient complaints-handling process would have enabled a large proportion of cases to be nipped in the bud early on. 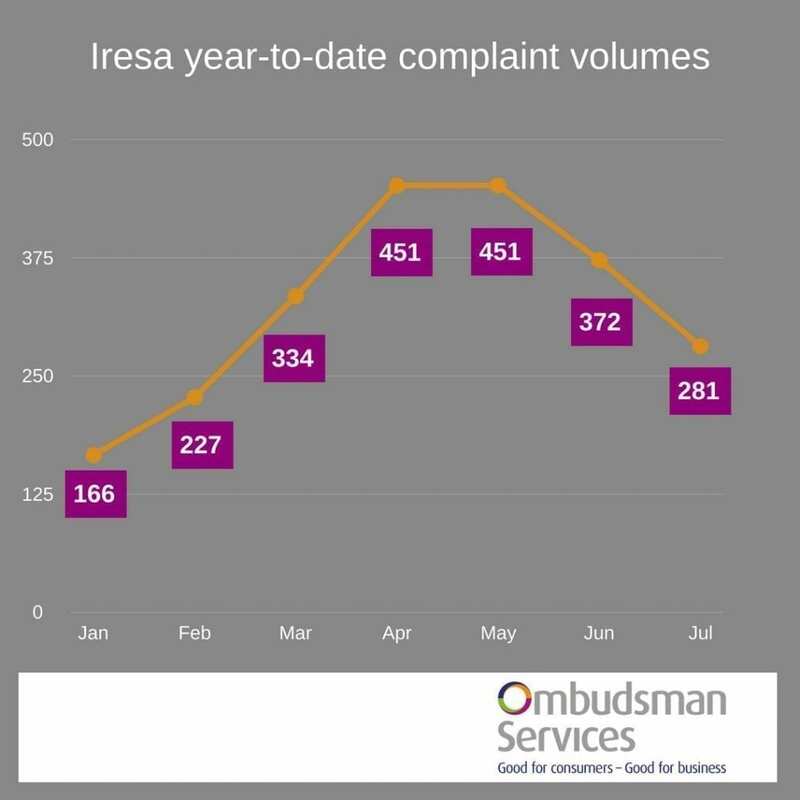 An analysis of complaint volumes shows that, from a peak in April and May when we were handling around 450 Iresa cases per month, complaint volumes had actually started to decrease – suggesting that Iresa was starting to address some of its customer service issues. We met company representatives on more than one occasion to share our insights and discuss ways to improve the customer experience. The company collapsed just at the point when it was seemingly starting to make improvements and address some of the fundamental issues that had plagued it. The corner was being turned, but it came too late. The damage had already been done. The clear lesson here is that, if you identify a problem in your customer experience process, it is advisable to invest time and money in addressing that problem before it gets out of hand. Consumers will no doubt look at Iresa and see it as a cautionary tale. The company’s former customers will think twice before choosing another energy provider purely on the basis of a ‘cheap deal’ that they spotted on a price comparison site. Price will always be a major factor in any purchasing decision, but if consumers are more savvy in the future – for example by looking at customer service as well as price – then the Iresa story will at least have one positive outcome. Online reviews, whether we’re talking Trustpilot, Feefo, Facebook Google reviews or Citizens Advice star ratings (to which we contribute), are likely to be more important than ever in a consumer’s decision-making process. Looking beyond customer acquisition and towards the service and retention phase, a robust and effective complaints-handling team that shares insights with the rest of the business will be crucial for any small player with big ambitions. In many ways, Iresa was a victim of its own success. The company simply acquired too many new customers too quickly, resulting in an avalanche of complaints with which it was unable to cope. The story could have been very different, if only the company had had the resources and capacity to look after its customers. One message for the new, challenger energy providers is that unsustainable growth isn’t just a headache or ‘a nice problem to have’ – it can be fatal. By investing in the best systems, people and processes at the start, a smaller company can give itself the best possible chance of sustainable growth. That’s good news for the company, consumers and the energy sector as a whole. Ofgem has said it is looking at the process for new entrants to the market. We think that’s welcome. The record levels of switching we’re currently witnessing show that new entrants have brought competition and innovation to the market, but low prices sometimes present hidden risks for consumers. A race to the bottom on price isn’t good if it leaves consumers (and other suppliers) facing hidden risks and hidden costs. The Supplier of Last Resort (SOLR) mechanism is an essential protection. We are working closely with Octopus to share our data, insights and expertise; just as we did with Green Star Energy and Co-Operative Energy following the collapses of Future Energy and GB Energy. It’s right, however, that in the light of Iresa’s demise questions are asked around the right balance of risk and reward to make sure consumers aren’t lost in the blizzard of deals and price competition. Lower bills don’t always mean higher confidence.